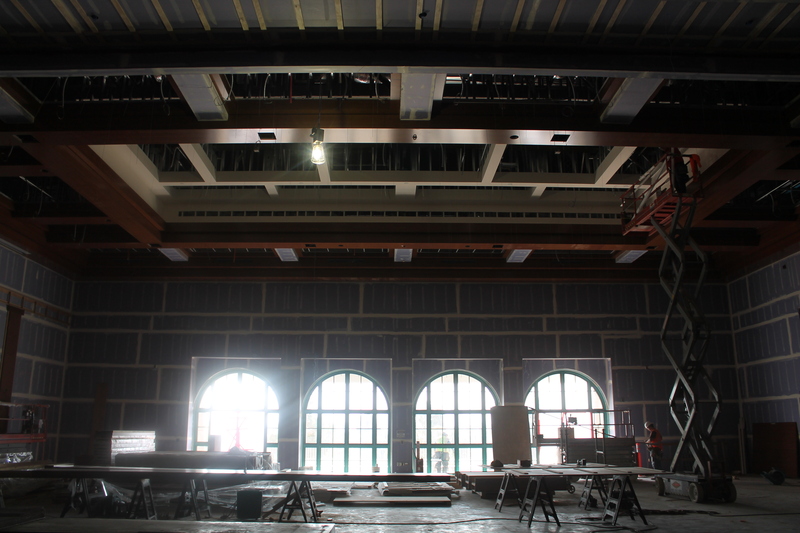 The large arched window in Montezuma Lounge overlooks College Avenue. 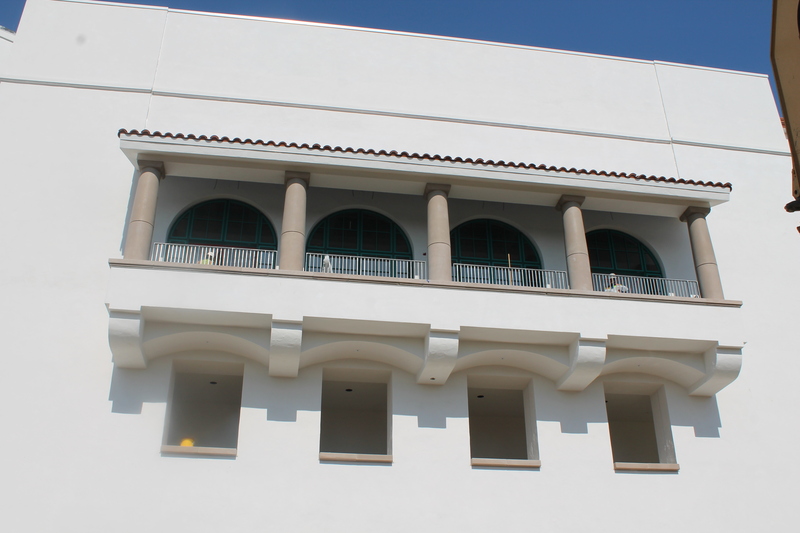 All work is completed on the Montezuma Hall balcony. 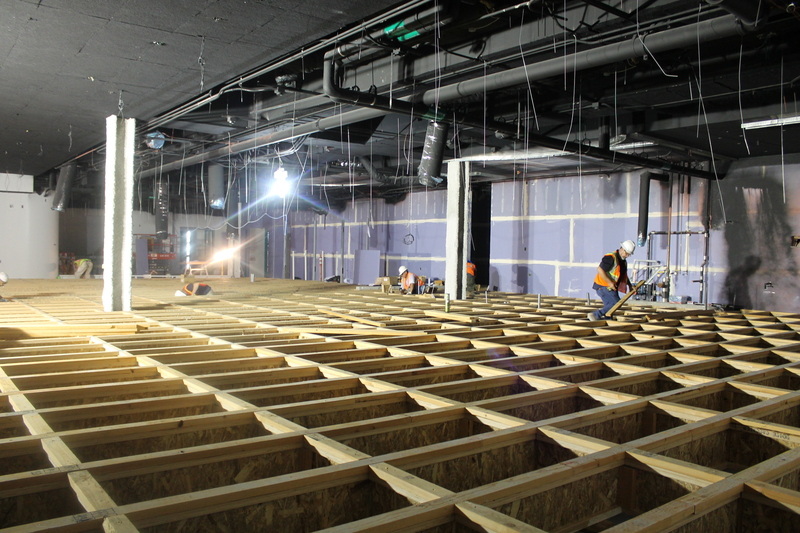 Crew members lay out the gridwork that will support the wooden flooring in Aztec Lanes. 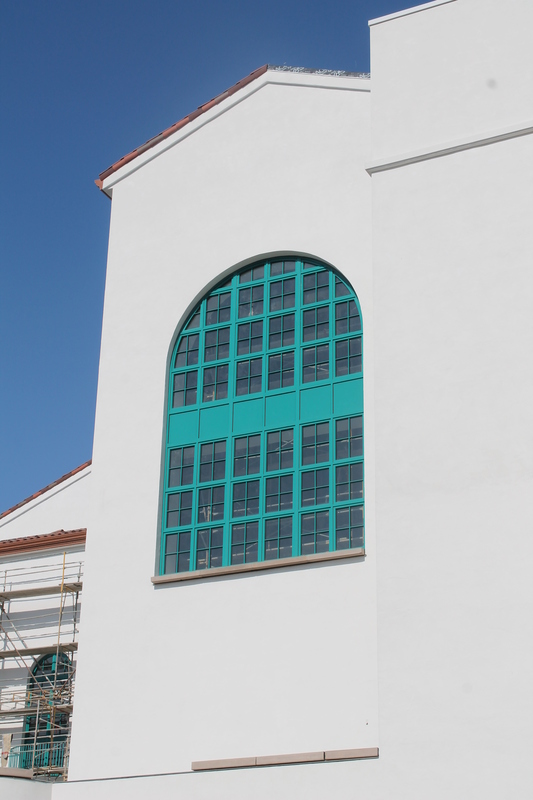 Four arched windows shed light on the ceiling’s millwork in Montezuma Hall. 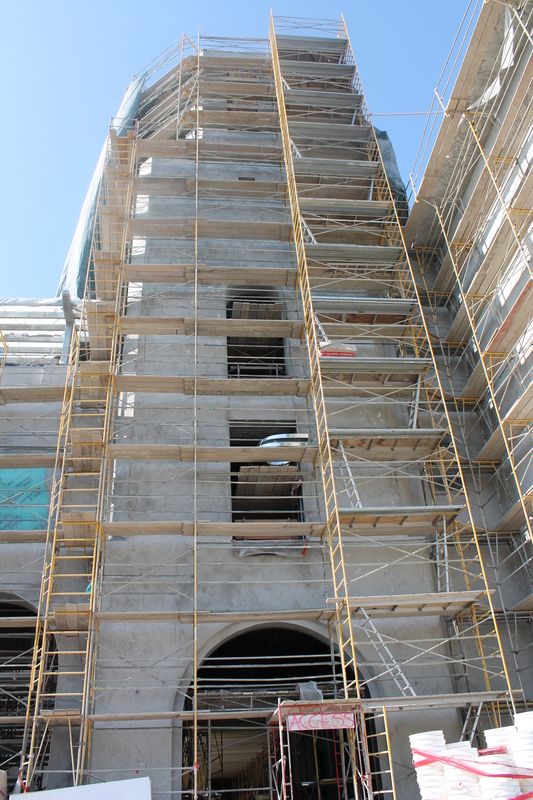 A view of the Union’s tower from the ground up.